Road infrastructure provides safety and comfortable Buses & Coaches routes between towns and cities throughout Tanzania and to the neighboring countries via borders in Namanga and Holili to Kenya, Bukoba to Uganda through Nairobi, Tunduma to Zambia. Buses & Coaches companies have plenty of options usually during the day to travel in and getting around Tanzania and neighboring countries. The major hub is in Dar es Salaam at the Ubungo Bus Terminal with buses and coaches moving to all destinations. 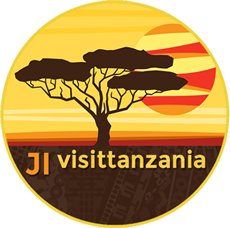 Visittanzania is always advising travelers and tourists to buy and or book tickets some hours or a day in advance themselves or through support from tour agents by contacting the Buses & Coaches Booking Offices directly or via available online options. Please check your preferred choice of Buses & Coaches while getting around Tanzania to make arrangements yourself or through your Tour Operator/Coordinator.